How Can I Maximize My Dental Insurance in the New Year? During this time of resolutions, have you made any about your oral health? An easy way to improve the appearance and health of your mouth is to maximize your dental benefits. This year, you can make a plan to utilize your hard-earned dental dollars before they’re gone on December 31st. Read on to discover the best ways of maximizing your dental insurance with your dentist in Allentown. Your yearly maximum is the most important number to know to maximize your insurance benefits. It’s the most amount of money your dental insurance is willing to pay for your dentistry in one year. The best way to get the most out of your benefits is to try to reach or exceed your maximum by the end of the year. Most insurance plans don’t rollover, so if you haven’t used all of your benefits, they’ll be gone forever. A great way of maximizing your dental benefits is to schedule your first appointment early in the year. That way, you’ll have a better idea about what types of dental treatment you may need in the upcoming months. Your dentist’s office can develop a treatment plan and estimate how much your insurance will cover compared to what you have to pay out-of-pocket. An additional benefit of scheduling your appointment early in the year is paying your deductible. The deductible is the amount you must pay before your dental insurance will cover costs. It’s usually around $50, and it also restarts at the beginning of the year. If you’re paying premiums out of every paycheck, you should definitely utilize your benefits. Preventive visits like checkups and cleanings are typically covered 100%, which makes them a great way to cash in on your benefits. Plus, if you go to both of your preventive visits with benefits leftover, you can talk to your dentist about other ways to use them before the end of the year. Preventive visits also provide the most important benefit: your oral health. Routine checkups and cleanings give your Allentown dentist the opportunity to prevent and detect any early signs of dental issues like cavities, gum disease, and oral cancer. Issues like oral cancer can’t be seen by the naked eye, which makes these dental visits lifesaving. Additionally, your dentist will take X-Rays to check out any problems that can’t be seen or felt. 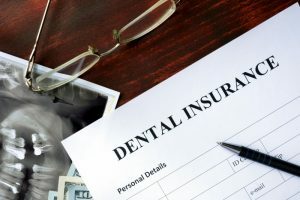 Now that you know more about dental insurance benefits, are you ready for 2019? Use these tips to take care of your teeth and your wallet in the new year! Dr. Bradford G. Young is an Allentown native who loves caring for patients in his community. He takes pride in accepting dental insurance to provide quality and affordable dental care. He currently runs his own practice, and he can be contacted through his website or by phone at (610) 439-1363 for any questions. Full Name Email Address Phone Number How can we help?